Links contain affiliate links. This means we might receive a small commission through link sales at no cost to you. How? I have trouble remembering to drink during the day. 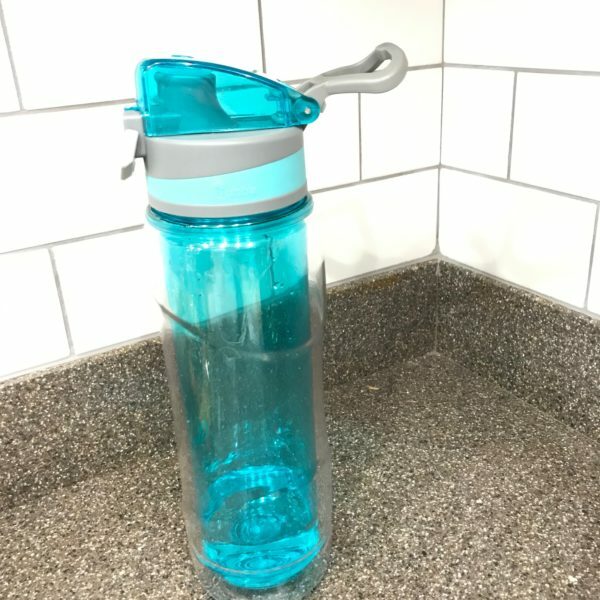 So, I got a 24 oz water bottle and keep it filled up on the counter. When I get done with one of the bottles, I know I’ve had a full 3 cups of water. If I refill once in the morning, once after lunch, and once after dinner I’ve had all my water for the day. It’s easier to keep track this way than through filling separate cups plus it’s an excellent reminder to keep hydrated! How? Who’s to say that New Year’s Resolutions have to begin on January 1st? I actually started this in early December. 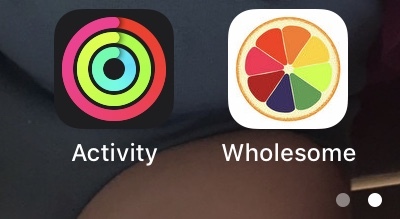 I’ve been using an app called Wholesome on my phone. It’s so easy to keep track of what I’m eating. I’m not just talking about fat and calories. This thing tracks all vitamins, minerals, Omega-3s, fiber and more. I really needed a way to track how much of what I was getting. 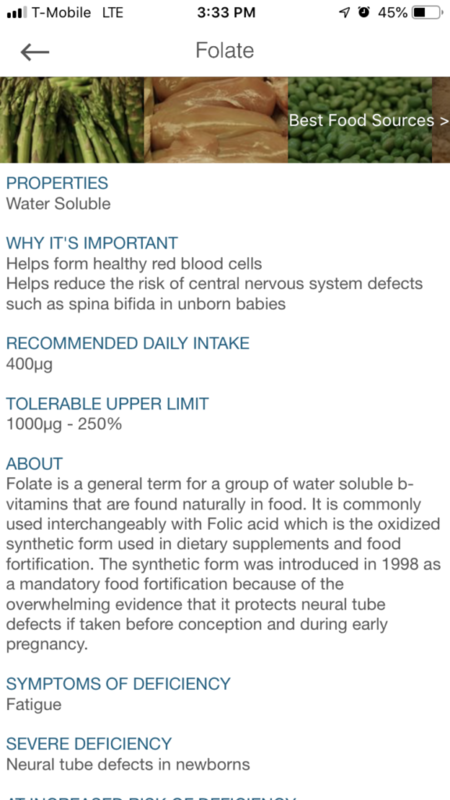 I absolutely love that it tells me what is in each food I eat – but I can also choose to search by vitamins that I need. I can search by food, vitamin/mineral, find what foods are high in that, or even read more about what that nutrient is needed for. This app is perfect – at the end of the day if I’m showing to be low in B12 or magnesium I can adjust what I eat at dinner or before bed. It can also track possible deficincies and gaps in nutrition over time. How? 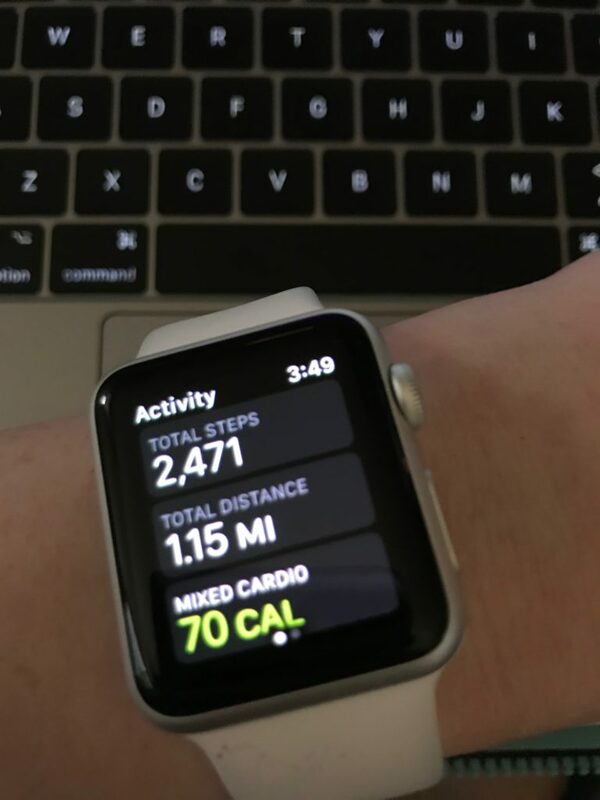 I’m using a combination of using an elliptical and my Apple Watch to track my fitness. Hubby got me the watch for Mother’s Day last year. I will freely admit I’m not big into excercise but this little watch has helped me get motivated. It tracks the user’s heart rate, workout, and steps. 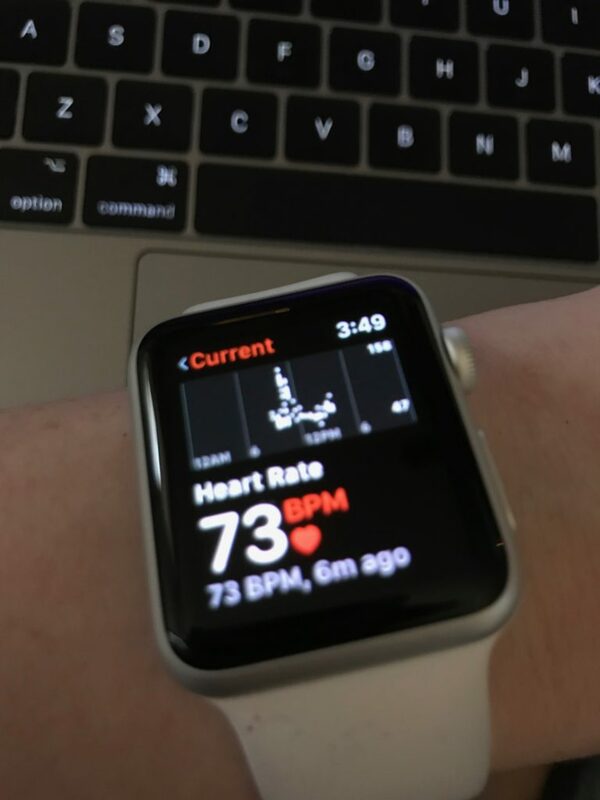 It is like having a mini-personal trainer right there on your wrist. It encourages me to keep going, to get in a few more steps, one more round of excursive – – it even gives out virtually engraved awards with my name and date of achievement. I love that I can hit mixed cardio and have a dance party with my kids. Its fun and it counts as my workout for the day (as long as I dance for at least 15 minutes-30 minutes). How? Last year I attempted to read my Bible in a Year. I didn’t succeed in doing so but I did succeed in becoming more disciplined in reading the Word. This year I’m continuing where I left off. Because I’m using a chronological Bible, some of the books are read out of order. I’m the midst of Daniel, Ezekiel, and 2 Kings currently. I’m going to keep going and even if it takes me 2 full years, I love that I’m seeing the Bible from a different angle. I can see the timeline of events in the Old Testament and getting a richer understanding of when and why certain books were written when they were. Truthfully, it doesn’t matter if you chose a Bible in a Year plan, a chronological plan, or a Psalm a day mixed with the OT and NT. It only matters that you are reading God’s word and allowing it change your heart. How? Social media makes me grumpy. Half the time it leaves me with a headache and a bad attitude. The problem is I’m slightly addicted to social media. 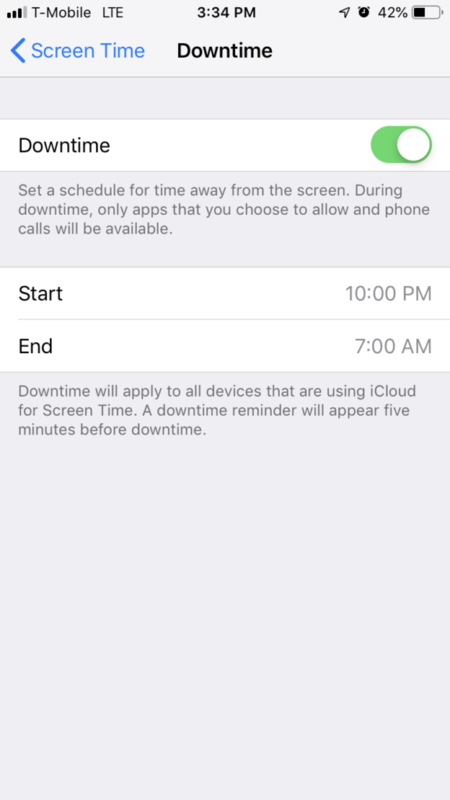 And I had no idea that iPhone offers Screentime setting under the Settings app. It tracks how long you are spending on social networking, reading and reference, and other websites. 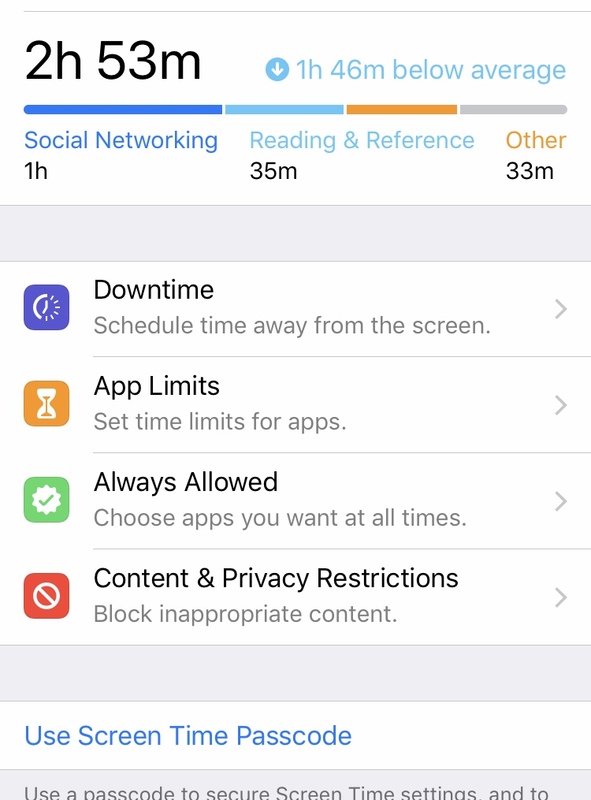 It allows you to choose a certain amount of “downtime” each day, you can limit your usage of certain apps, you can restrict certain content and choose certain things to “always allow”. I love that I can turn off social media after a certain number of minutes. For instance, I choose to allow 7 minutes of social media a day during the week and 1 hour on weekends. That way I can skim my newsfeed and see if anybody has tagged me or written to me before it turns off for the day. Don’t worry, if you need to turn it back on you can always allow to extend an extra 15 minutes a day or turn off your settings all together. 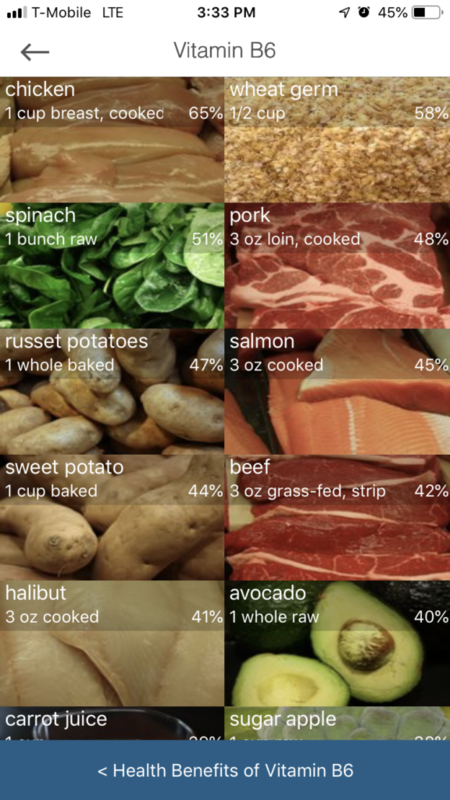 MyFreezEasy — an easy way to start freezer cooking. Erin Chase, the brains behind this awesome service, creates meal plans by diet type or by food type that will fill your freezer for the month. It’s super easy to implement, too! 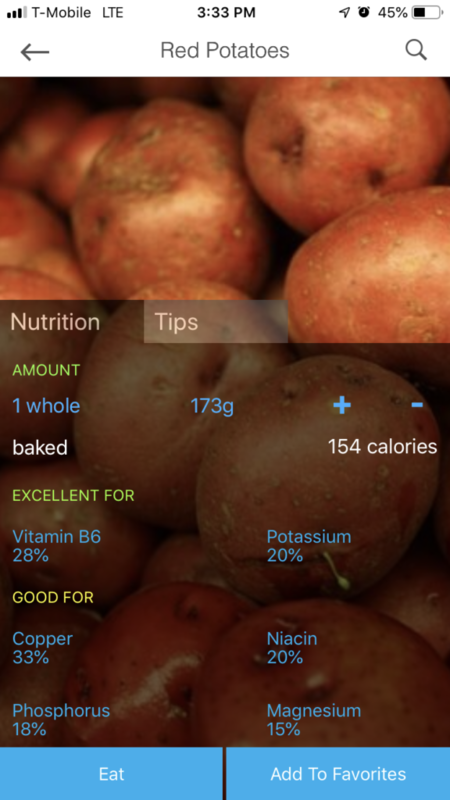 You can customize the recipes to how many people you are feeding, you get a printable grocery list and instructions for cooking and for the day you are putting the meals together. It couldn’t be easier. Walmart Grocery App –– I recently took the plunge and started using Walmart Grocery. First of all – I’ve tried other grocery services before but nothing compares to this Walmart App! It is amazingly easy to use and search. I just typed in or searched for what I needed, choose a pick up time, and then once it was time to pick up I just clicked a link to let them know I was on my way. My phone’s gps actually tracked me to the Walmart store so they got the heads up that I was almost there. I paid through my phone and also let them know which Walmart grocery parking spot I was parked in. It was seamless. You never have to step a foot outside your car – they load it in the car or truck for you. Through Walmart and MyFreezEasy I’m saving time on my meal planning, shopping, and cooking. I was a girl who loved books. In middle & high school, I spent many an afternoon curled up in my mother’s arm chair with a novel and cozy blanket. A favorite pastime was to browse the library shelves to see what treasure I might spot hidden in the long shelves. Last year, I made a resolution to read more books. I actually had a stack that I shared with you guys on New Years Eve 2017. Motherhood had eaten up so much of my free time, I was determined to take some back for myself. 2018 was going to be my year to read all the books I had been waiting to read for the last decade. Except, that wasn’t meant to be. I got about half way through 20,000 Leagues Under the Sea and I just couldn’t take one more minute. I quickly realized that it wasn’t my dream to read that stack of books. I wanted to spend time reading books that would help shape me and allow me to grow as a mom, a woman, and a follower of Christ. Includes Amazon affiliate links. We may receive a small commission from sales through these link clicks at no additional cost to you. I’ve never been an especially quick reader. I’m even less so now. Being a mom brings near constant distractions. However, one thing I learned about my resolutions… it doesn’t matter how quickly I read or if I squeezed in so many more books that I did the year before. I just needed to keep on going… one day at a time. 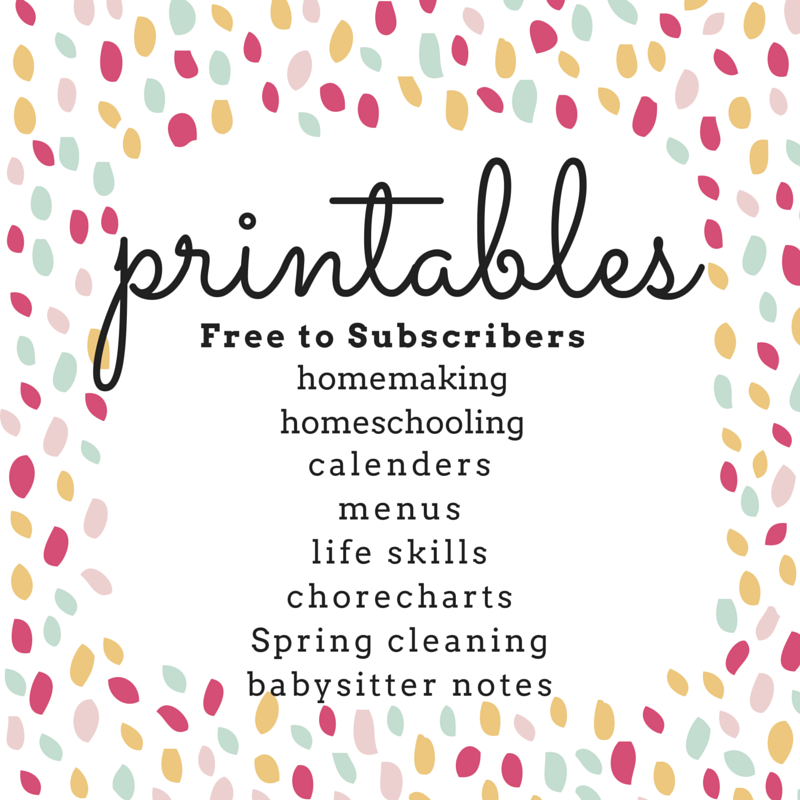 I hope this list inspires you to take a chance and just jump in. It’s never too late for brand new start. It isn’t too late for a resolution to read. I hope to share with you more in the coming weeks of what I learned from some of these books – and even better, what I’m reading right now. The shimmering snow flakes speckle the quiet windowpane at the front of my cozy library room. I’m cuddled up with my grey fleece blanket in the charcoal armchair with the round ottoman. Behind me stands a row of books. Sneaky as a mouse, the tiny wide eyed 3 yr old comes prancing into the room, asking me to read. I nod my head and smile. It’s peaceful and calm as I turn the pages of, “How Big is a Million,” and “Caps for Sale.” Reciting the words on the pages in front of me, Mr. 2 yr old boldly walks to the side of the chair and raises his hands. “Up?” He asks. In a moment there’s not just one, there are two. 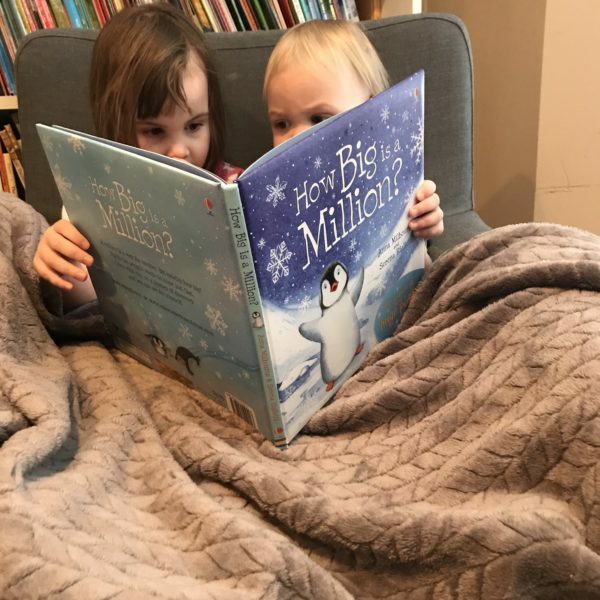 Two cozy, quiet preschoolers covered in a furry grey blanket on the charcoal chair with the little round ottoman. We finish another and then pick up a children’s version of the Nutcracker, and then an I Spy. My wild Miss 3 is as still as a sleeping mouse. I lift my head and breath it in. Joy. This is what joy feels like. A stolen moment with two littles who are quiet and content to sit, to listen, to snuggle. This past week has had its ups and downs. Miss LadyBug, age 6, came down with the flu on Tuesday. I knew something was wrong when I was making breakfast. She was sitting at our island wrapped in a fleece blanket. She had her head down. “I’m so tired,” she breathed out a deep sigh. I felt her head. Fever. I tried to keep her away from the others, and even though she only drank juice, nibbled some toast, broccoli and eggs, and slept most of the day, it wasn’t enough. I warned the younger ones to leave her alone – she needs her rest. Still the next day Mr. Middle, age 8, was down for the count. I thought maybe it would stop there. My hubby had left Thursday morning on business and by that night he was shaking with the chills and had to drive back home early the next day. And then it was my turn. Friday evening I had a fairly mild cough and was feeling a little under the weather. I woke up Saturday with a fever of at least 102 and feeling pain in my legs and feet. If I didn’t know better, I would thought I had walked a long distance barefoot. Everything was sore. We found out, Tuesday, that my husband (and the rest of us) have Influenza A – – most likely the H1N1 strain which is going around. I had plans this week. Most of my plans were left in my calendar unchecked. And I look around at all there is to be done. So, as I sit here holding the two littlest, I remember this week, I remember 12 years ago when my two oldests were this size, the past 16 years seem to flash before me. Sometimes you have to go on a journey to find the right perspective. I remember being too busy to slow down. I remember trying to focus on all the wrong things. I remember thinking about what is hard. I remember forgetting what was beautiful. I remember my tiny babies. I remember the ones I never met. I remember what an honor and a privilege it is to raise this house full of little people. From the tallest to the smallest. In that moment my feet landed on solid ground and I caught a different bug – the bug of joy. And I grasp it with all the strength I have. It maybe be an icy, snowy wintery day and it might even seem a bit gloomy out. You may be sick and tired and fighting a fever or the flu. No matter where you’ve been or how you’ve wasted time. Slow down, breathe deep, and look around you. Find the joy. When you find it hold on with all the strength you have left. It’s a strong medicine for the weak and weary. Are you carrying around painful memories of something that happened over the past year? Maybe you are still angry, bitter, or deeply hurt over something which was said to you or done to you over the past 5 years. Do you want to know a secret? The Lord revealed something to me in the first three months of 2018. The Lord revealed that I was carrying around a burden — bitter memories –of something that happened around Christmas of 2003. That’s a long time, friends. That was about 15 years of dragging around my own bruised, mistreated feelings. Last year was a year of learning and growth. As I mentioned in my last post, it wasn’t the way I planned it, but it was the way it needed to be. We’ve all been there at sometime. Maybe you cried after logging onto your social media account sometime last year. Or you felt insane anger pulse through your veins because of what a “friend” shared about a politician on their page. How many of you have felt deeply hurt by a close friend? How about your dad or mom? Did your closest ally betray you in the battlefield of life? Who among us has never been offended or felt jaded by a mean spirited remark? Seriously, just being on *ANY* social media platform is enough to lose friends, be offended, feel hurt, or be enraged these days. Throughout my life I’ve seen not only my own hurt but the hurt of those around me. I’ve witnessed how other people deal with their pain and even what causes them pain. Sometimes, people make careless remarks that don’t carry much weight as they let the words fall from their lips. However, those same words can feel like a punch to the gut in the heart of the receiver. Sometimes, others say things out of concern but to the recipient there are deeper implications. Other times it’s said as a joke, unknowingly losing a close friend in the crossfire of the laughter. Just go on any mommy Facebook group to see the drama that happens between husbands and wives, neighbors, best friends, mother-in-laws and daughter-in-laws. It feels like a boundary-less world we live in. Let’s face it — we are human and most of us will find ourselves hurt, angry, or sad for a whole host of reasons. I’ve been dealing with strong feelings of what is “right and wrong” since I was a child. I have an entire diary to prove it. That diary became my therapy during my elementary and middle school years. It got replaced by poetry writing and a strong melancholy by high school. God showed me a better way – a healthier way to deal with the ocean which is my emotions. Here is what I realized this year. And I will preface this by saying this was one of those epiphanies that shouldn’t have been … because it is right there in Scripture. It’s just it took me 30-something years to learn this little gem. Satan will use anyway he can to guide you into sin. He will literally even use our own traumatic experiences, our own grief, our own heartache to hijack our faith. Seriously. He’s crafty. That’s why God gives us such clear instruction. It’s like the old cartoon of the angel on one shoulder and the devil on the other. God tells us to forgive. Satan tells us we don’t have to. God tells us to love. Satan tells us it’s more fun to hate. God tells us not to hold on to our anger. Satan tells us that our anger is justified. God tells us to put others above ourselves. Satan tells us we deserve more. God tells us his ways are higher than ours. Satan tells us we are the masters of our own universe. The problem is we live in a sinful-fallen world and we live in a sinful body with a heart, that, as my pastor put it last week, is an idol factory. We all have a tendency to look after our own needs, to defend ourselves, and to, in many ways, put ourselves first. It’s not easy to write this because I’ve lived this and walked it too many times … so I know how painful it is to have people hurt us. 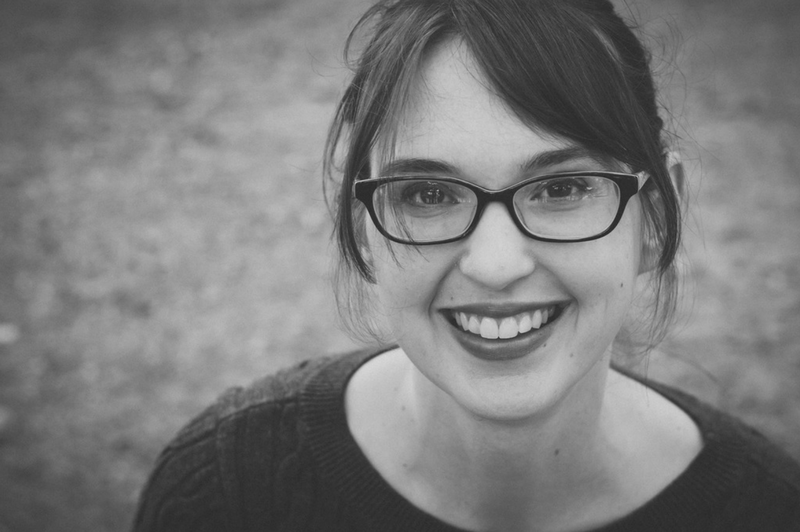 However, when we wallow in our own self-pity, let our anger turn to bitterness or self-deprevation – when we allow our hearts to darken, we take our eyes off of Jesus and we put them on ourselves. I don’t care how messed up the other person is – or how mean they are. I don’t care what they do or don’t deserve or the laundry list of what they did to so and so. I have been there before. Trust me, I have. I found myself so focused on how someone else hurt me that I didn’t stop to remember a key verse in Ephesians. To make this easy to follow, I put together 3 simple steps to remember when you get hurt or offended or angry this year this week. Friends, run to Jesus. When people hurt you, run to Him. Pray and pour out your pain and your frustration. Pour out your heartache and your grief. Pour out your heart and life to the one who created you. He sees you. He knows you. He made you. He loves you. Secondly, identify if there was a miscommunication, an accident, a slip up. Try to figure out the cause of your hurt. Was it truly purposeful? If it was, pray some more. Remember that you aren’t battling against flesh and blood. There is a spirit realm that wants to entice you, wants to fluster you, wants to weaken you. Thirdly, go to the person and share with them your frustration. If it is a friend or a relative, please be honest and share your feelings. Make 2019 a year where you don’t bury your resentment and allow them to simmer into a poison in your soul. “In your anger do not sin” : Do not let the sun go down while you are still angry, and do not give the devil a foothold. The thing that struck me the most is that someone else can choose to harm us or hurt us with their words or actions. That’s a sin. A weapon against God and man. But our response also gives room for God to work in our lives or for the devil to gain a foothold and cause us to stumble into sin. My first thought when I realized this is — that isn’t fair. Why should the sin of others cause me to sin. The short answer (I found out in time) is that it shouldn’t. We need to choose Jesus. We need to choose grace. Choose mercy. Choose prayer. Choose love. Do you see? The Lord didn’t give us these instructions to punish us, He gives these to us because He loves us. He doesn’t want us to grow in bitterness and heartache but to grow in grace.